St. Louis Cathedral Concerts is where ALL of St. Louis experiences “Great Music in a Great Space!” Join us for an evening of spectacular music featuring the world’s best musicians in one of the world’s grandest Cathedrals. Our mission is to present affordable live concerts in the Cathedral Basilica of St. Louis featuring world-class musicians and the finest repertoire of sacred and classical music for the cultural enrichment, education, and enjoyment of the entire region. Second Presbyterian Church is proud to present the Couts Music Series as part of its outreach to the community. The series is made possible by the generosity of Dr. Fred Couts with additional support from individual donations to the series. Childcare is available with a reservation to the church office by the Wednesday prior to each program. Free parking is available on the street or in a small lot next to the church on Westminster Place. Parking is also available in the parking lot located at 462 North Taylor (at the corner of Olive and Taylor diagonally across from the church). The mission of Union Avenue Opera is to provide professional opportunities for gifted, emerging artists and to offer vibrant and affordable opera experiences in original languages to audiences that reflect the breadth and diversity of the St. Louis region. 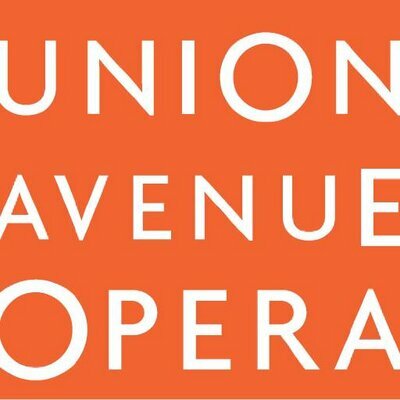 Believing that the arts are vital to the health and reputation of a community, Union Avenue Opera is committed to its urban setting, educational outreach, and artistic integrity.